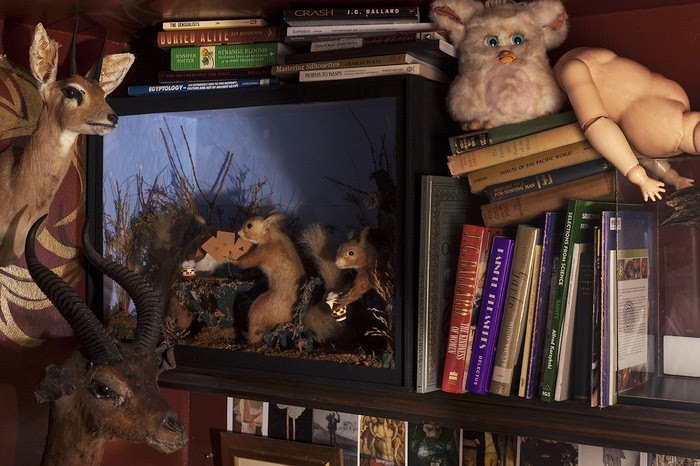 Morbid Anatomy: The Viktor Wynd Museum: A New Museum of Curiosities in London Needs Your Help! 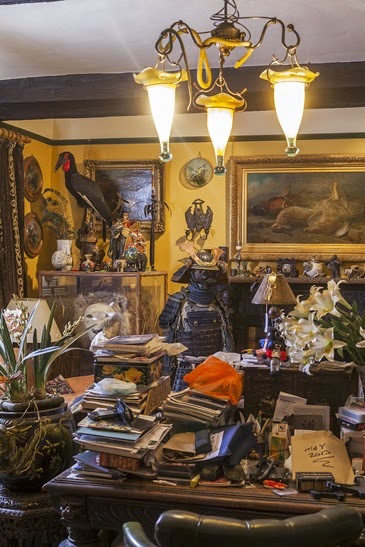 The Viktor Wynd Museum: A New Museum of Curiosities in London Needs Your Help! 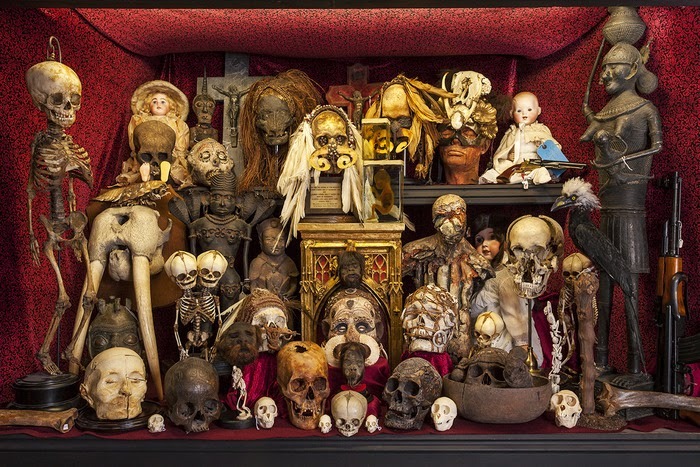 Victor Wynd--friend, host of Morbid Anatomy's UK lecture series, and author of the upcoming Viktor Wynd's Cabinet of Wonders--is founding a new museum of curiosities in London, and he needs your help. Following is a guest post by Wynd himself (seen above, hugging bear) explaining his grand project; you can support it--and win such awards as an oyster feast around the sarcophagus!--by clicking here. You can also watch his Kickstarter video above. I don't like the museums of today - they used to be towering treasure houses designed to fill their visitors with wonder and awe. Visitors weren't supposed to understand or be educated by what they saw - they were meant merely as the cerebral equivalents of today's amusement parks, people were supposed to be amused, shocked, delighted and filled with wonder, to go slowly in awe and speedily in joy. When I first became interested in Cabinets of Curiosity some fifteen years ago, I was astonished to discover that there weren't really any left. The remnants of once mighty Victorian Museums were swiftly transforming into interactive educational establishments guided by a misguided search for an always effervescent knowledge. London's Natural History Museum, which had so charmed and awed me as a child, was busy hiding all their dead animals and bringing in plastic moving and talking dinosaurs and flashy interactive noisy electronic panels, and the junk shops of my distant youth had disappeared. I started modestly - I thought if there weren't any curiosity shops I'd better open one. I was convinced I was onto a good thing; I would create the Woolworths of my generation, open a branch on every high street in very country of the world, where we would fight the modernist look and bury Ikea below an enormous pile of exquisite clutter. Well, the shop failed, but I think that has more to do with my lack of commercial savvy and preference for buying rather than selling things... with the shop overflowing and losing money, and unable to get far beyond the front door of my home, I decided to turn the shop into the museum of my dreams. I am now almost there, and just need to raise a little more money to be able to open the doors - please, please pledge your support and I will be eternally grateful and post you kisses and all sorts of other treats - with over 40 rewards including a copy of my book Viktor Wynd's Cabinet of Wonders; the opportunity to have your (un)loved ones name inside the lavatory bowl; or come and join me sometime for tea or a cocktail in the Spare Room (dedicated to the Occultist and Crowley associate) Austin Osman Spare. 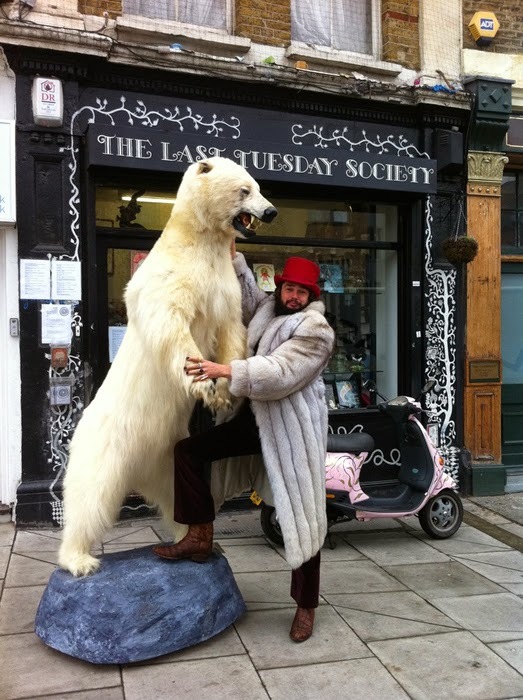 The Last Tuesday Society presents the first all encompassing museum to open in London since the Horniman Museum in 1901. The museum focuses on the per-enlightenment origins of the museum as Wunderkabinett – a mirror to a world so suffused with miracles and beauty that any attempt at categorization is bound to fail. Where contemporary museumology hides 90% of a collection, attempts to educate and explain, to put the world into neat little labeled drawers dictated by an obscurantist elite establishment this museum will merely display everything that has glittered and caught the eye of it’s founder – from rare priceless marvels of the natural and scientific worlds like Dodo Bones or speculum to the intriguing beauty of McDonald’s Happy Meal Toys, from old master etchings to prison inmates and women’s doodles, occultists paintings and pop art prints, the horrors and wonders of nature, two headed kittens and living coral. By placing the rare and the beautiful on the same plane as the commonplace, banal and amusing this museum seeks not to educate but to subvert, to show the world not in a grain of sand, but in a Hackney basement. The Museum has no overreaching aim beyond the theft of it’s visitors time and the hope that it will provide amusement by return and hopes to fill the vacuum between what the establishment elite believes is worthy of worship and what exists in the world. A place for the wraiths and strays of London’s forgotten bohemian world to gather amongst the dead and the beautiful on deep crimson velvet banquettes, sip absinthe and encage in lively and languorous intellectual debate. The Museum will be divided into two parts – The Upper Galleries with up to two art exhibitions a year and The Wunderkabinett displaying high (and low) lights from the permanent collection in a double vaulted basement, arranged as a gesumskunstwerk in custom built and salvaged museum and jewelry cases. The Lion Room is available for private hire for dinners and intimate encounters for up to ten people. Fine Art: Alastair Mackie, Tessa Farmer, Kate MccGwire, Mat Killick, Theatre of Dolls, Paul Hazleton, Stephen Wright, Magnus Irvin, Shez Dawood, Eleanor Crook, Ed Kluz, in depth collection of Austin Osman Spare, Stephen Tennant, Leonora Carrington (graphic works), Mervyn Peake and Gunter Grass. Loans from the IMMA (Irish Museum of Modern Art), Tate Liverpool, The Lowry, and Kendal Museum and Kelvingrove; Dandies: an in depth collection (much on loan from the estate) relating to the Dandies Sebastian Horsley and Stephen Tennant, ranging from Sebastian Horsley’s nails from his crucifixion to the 1920s scrap books of Stephen Tenant. The ground floor will host a tiny café/bar/restaurant run by Clapton’s Bonneville under chef Oly Launcy serving light bites as well as an extensive evening cocktail menu. The Lion room in the Wunderkabinett will be available for private. In common with many children Viktor Wynd was filled with an insatiable desire to possess things and collected everything he could – from stones to snakes and stamps. 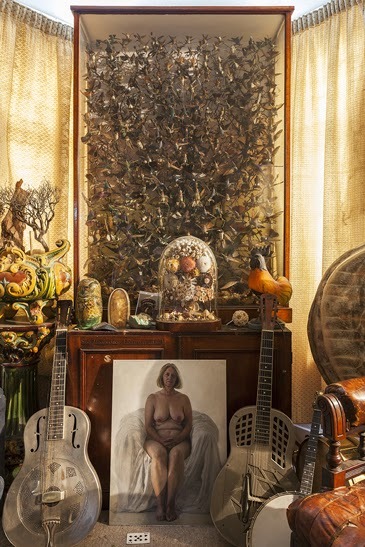 Unfortunately he has never grown out of the habit, the opening of his vastly successful curiosity shop “Viktor Wynd’s Little Shop of Horrors” and eponymous gallery in 2009 gave him both an insatiable appetite for stuff and the means to find and buy more. Always keener on buying than selling the collection grew and grew. Is an artist and ‘pataphysicist working in the field of Relational Aesthetics, after being the awarded The Rosenquist Fellowship in Fine Arts and pursuing a M.F.A. at The University of South Florida in the early noughties he exhibited for a while through the commercial gallery and fair system before founding The Last Tuesday Society in 2005 to pursue his projects – including “Loss; an Evening of Exquisite Misery”. Over the last ten years it has put on a bewildering array of events including over 500 literary Salons, vast Masquerade Balls with over 300 performers and 3000 guests, Séances, art exhibitions, Wyndstock – a Midsummer Night’s Ball at Houghton Hall, selling over 75,000 tickets. The Viktor Wynd Museum is the society’s biggest and most ambitious project to date. Mat is responsible for turning Wynd’s vague dreams into a physical museum and reinterpreting them in a practical and affordable light. As an art director and independent curator he has worked extensively internationally for numerous clients for the last 14 years. For the last ten years he has worked closely with Bryan Adams and is currently curating his exhibition at Somerset House. He is an accomplished artist creating strange almost abstract oil paintings as Matthew Killick. His work is held in many private. His most recent and current exhibition of vast lightboxes on Great eastern Street. Mark Pilkington founded and runs Strange Attractor, which has been shining a spotlight on adventurous and intelligent alternative culture since 2001. As Strange Attractor, Mark has programmed and hosted countless events in venues all over London and the UK and has curated three exhibitions. Meanwhile, Strange Attractor's publishing arm has published over 30 books, including four editions of its acclaimed Journal, London's Lost Rivers, Austin Osman Spare, and Welcome to Mars. Amber Butchart is a fashion historian on a quest to reveal the secrets of our sartorial past and place the semiotics of style in a wider cultural, political and social sphere. She has contributed to productions for the BBC, Channel 4 and Sky Arts. She presents a regular ‘In Conversation’ series at the V and A museum looking at issues concerning the clothed body in fashion and performance. As the red-haired half of the Broken Hearts DJ duo she has played at The Society’s Parties and co-hosts a weekly swing radio show on Jazz FM. A former Research Fellow at the University of the Arts London, Amber has an extensive speaking career and she is an Associate Lecturer in Cultural and Historical Studies at London College of Fashion. She has an upcoming book on the history of nautical style, to be published by Thames and Hudson. Amber Jane Butchart's Fashion Miscellany, her compilation of vestimentary oddities, is out now. Again, you can donate to this worthy cause by clicking here!